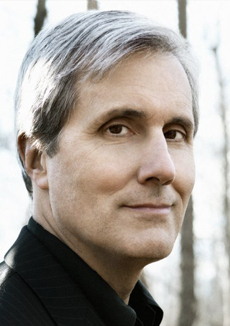 Lawrence Dutton, violist of the Emerson String Quartet, winner of nine Grammy Awards, has collaborated with many of the world’s great performing artists and with numerous famous chamber ensembles. He has been featured on three albums with Grammy-winning jazz bassist John Patitucci. With the Beaux Arts Trio Mr. Dutton recorded the Shostakovich Piano Quintet and the Fauré Piano Quartet on the Philips label. His Aspen Music Festival recording with Jan DeGaetani for Bridge Records was nominated for a Grammy award. For Bravo television he recorded works by Stravinsky and Hindemith. Mr. Dutton has appeared as a soloist with many American and European orchestras and at major music festivals. He collaborated with the late Isaac Stern in the International Chamber Music Encounters at Carnegie Hall and in Jerusalem. Mr. Dutton is a professor of viola and chamber music at Stony Brook University, the Manhattan School of Music, and the Robert McDuffie Center. As member of the Emerson String Quartet, he won the 2004 Avery Fisher Prize and was inducted into the Classical Music Hall of Fame in 2010. Mr. Dutton exclusively uses Thomastik Spirocore strings and performs on a viola made by Samuel Zygmuntowicz (Brooklyn, 2003).